Let's just call it like it is: 2016 was a CRAZY year. So many things happened – both good and bad – that I never expected. Despite all the craziness, though, 2016 was a pretty epic year for me, travel-wise. I visited 11 new countries, 3 new US states/territories, and had more adventures and memorable moments than I can count. But, because I love putting together these round-up posts every year, I'm going to try to narrow down my 2016 to just the top 16 travel highlights. I made my first trip to the Baltics in 2016, spending a week exploring two capital cities in October. 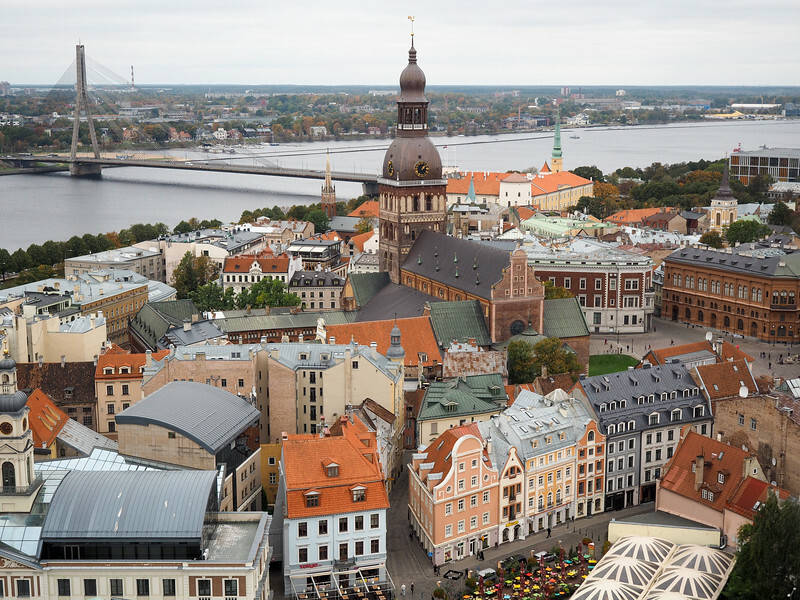 Riga, Latvia, was the city in the Baltics I was most excited to visit – and it did not disappoint. Whether it was wandering the narrow streets of the Old Town, admiring art nouveau architecture, or strolling through Riga's Central Market, I loved the three days I spent there. Riga is a city I definitely want to re-visit during the summer months. I made two separate trips to Texas this year (thanks, Texas Tourism! 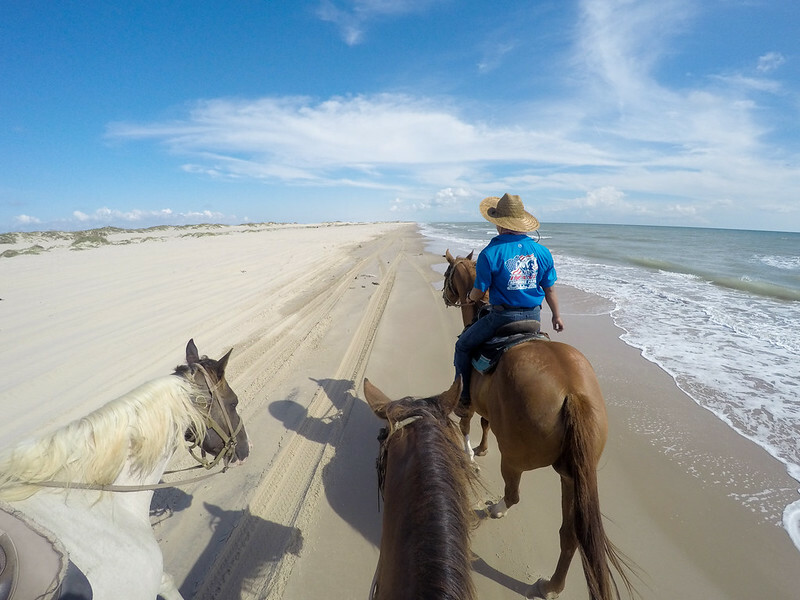 ), and one of my most memorable moments was definitely the horseback riding tour I did on South Padre Island in August. This island is most well-known as a Spring Break destination, but I was surprised to find so many other awesome things to do there. And a beachy horseback ride? Yes, please! As a self-professed internet/social media addict, I'm not usually the type of person to willingly give up my technology. 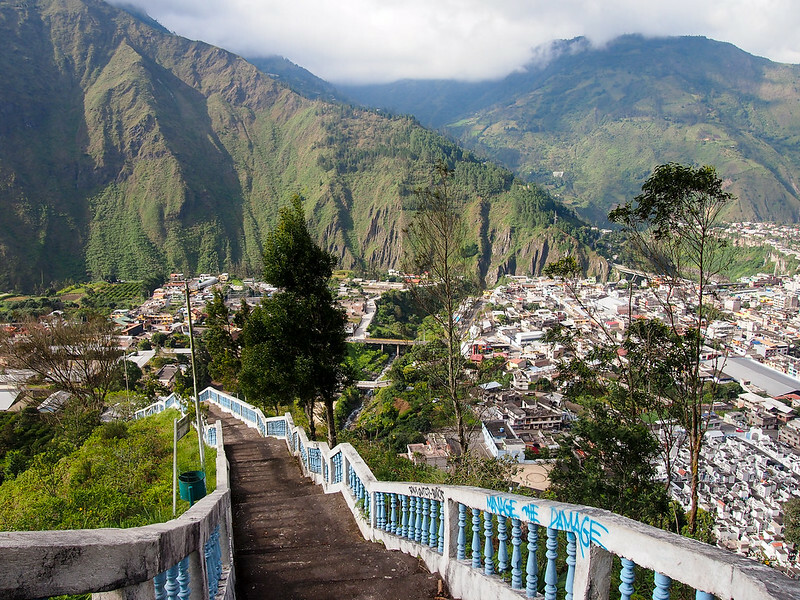 But when Intrepid Travel invited me to preview one of their digital detox tours in Ecuador earlier this year, I thought maybe it would be a fun challenge. The digital detox part was actually much easier than I thought it would be, and exploring Ecuador for a week was a great introduction to South America. In April, Elliot and I took a trip out to the American Southwest to road trip through national parks in Utah and Arizona. There were so many highlights to this trip (Bryce Canyon, Monument Valley, Horseshoe Bend, etc. 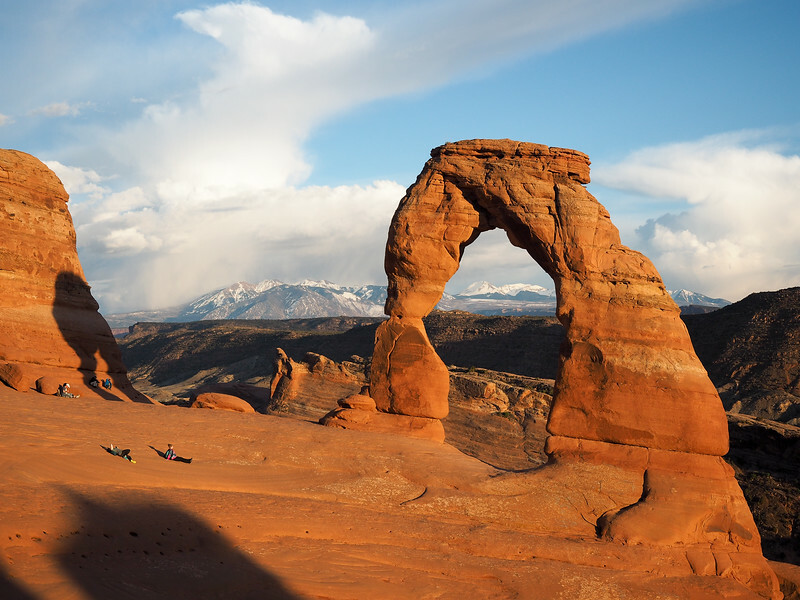 ), but one that definitely deserves a spot on this list is watching the sun set at Delicate Arch in Arches National Park. The hike out to this iconic arch isn't a particularly easy one, but the payoff was well worth it. Even though I've traveled to the UK multiple times since my first visit in 2012, this year marked my first visit to Wales! My first trip to Wales was focused on outdoor adventure, and I tried things like gorge hiking and whitewater rafting and even surfing. 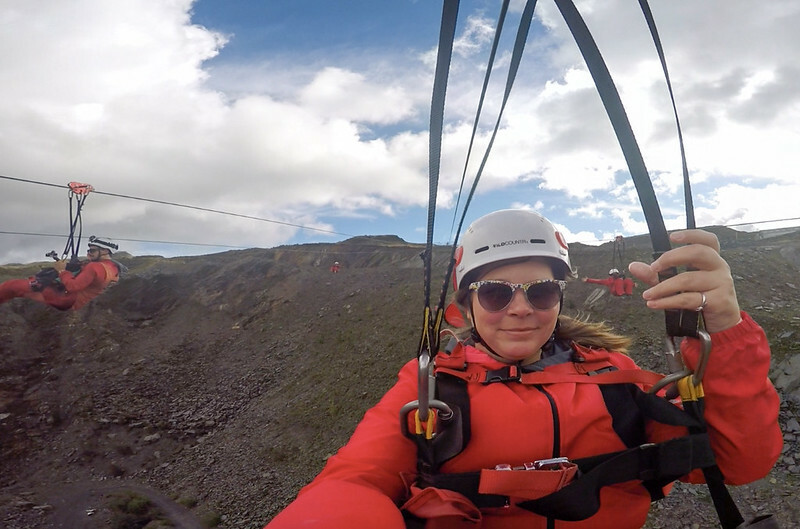 But my favorite adrenaline-pumping activity in Wales was zip lining over an old rock quarry in the north of the country. Zip World Titan is so cool because 4 people zip down huge lines all at once, making for a really unique experience. Cage diving with sharks is a somewhat controversial activity when it comes to wildlife encounters. But it's also an activity that's been on my bucket list since before I even *had* a bucket list. So when my dad and I booked a trip to South Africa earlier this year, I knew we had to add on the extension in Gansbaai to see great white sharks. I wanted to see/try cage diving on my own before passing judgment on its ethicalness. And you know what? It was pretty damn cool. 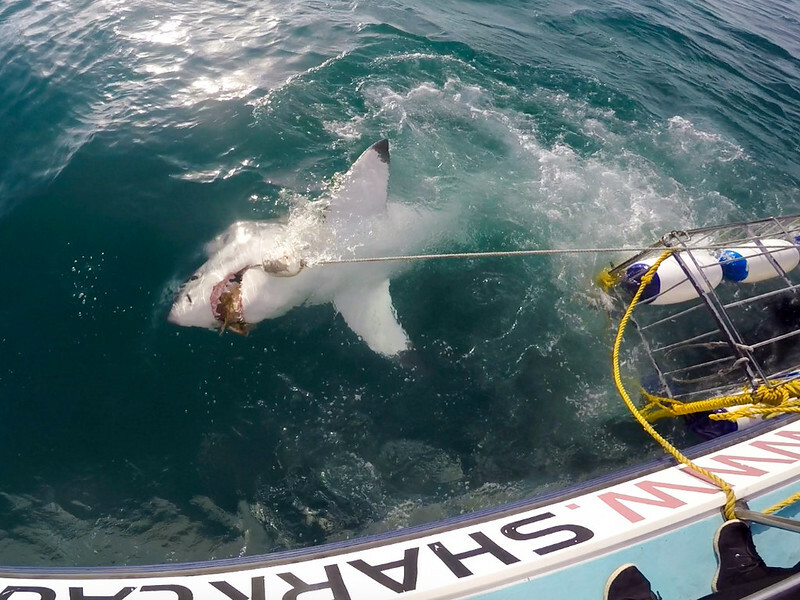 Read more: Should You Go Cage Diving With Great White Sharks? I visited so many new places in 2016, and one of my favorites was Puerto Rico. 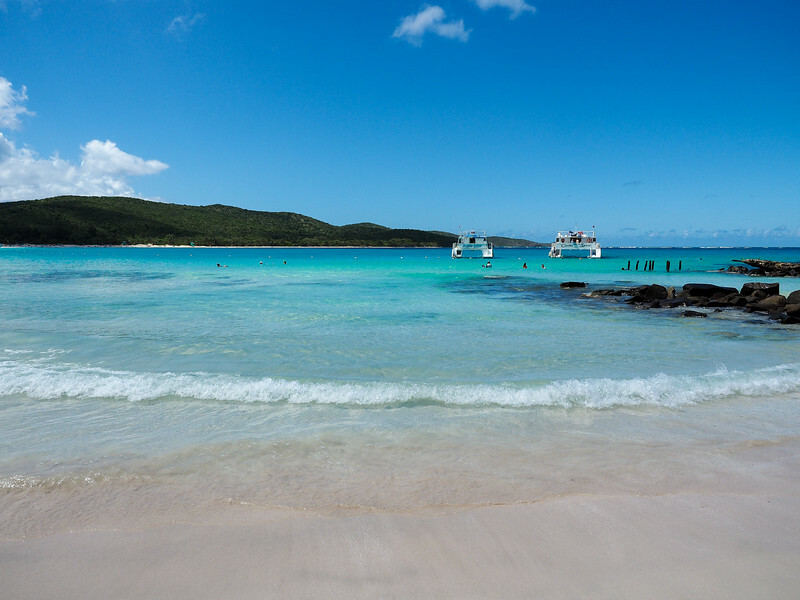 My most memorable experience in Puerto Rico was definitely taking a catamaran tour out to Culebra Island and the very famous Flamenco Beach. This beach often appears on lists of the “best beached in the world,” and it completely blew away my expectations. It's not only beautiful, but also wasn't overrun with people! 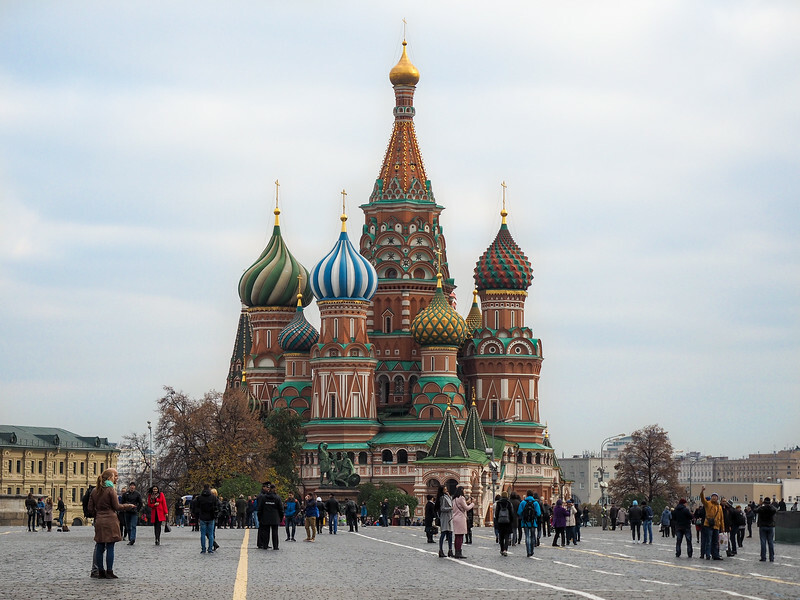 I wasn't expecting to be so moved by my first visit to Moscow. But stepping into the massive Red Square for the very first time gave me that feeling of butterflies in my stomach that a memorable travel experience always does. And seeing the iconic St. Basil's Cathedral up close for the first time? It's definitely something I won't ever forget. 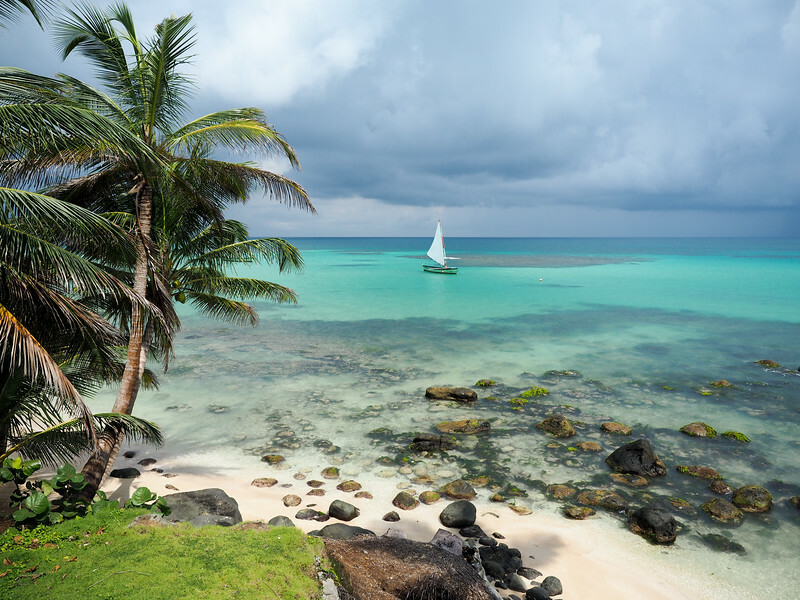 In August, I had the opportunity to travel to Little Corn Island in Nicaragua to check out a luxury island retreat called Yemaya Island Hideaway. The laid-back hotel focuses on wellness, with daily yoga classes and free watersports. I decided it would make for a perfect sisters getaway, and invited my sister to go with me. Even though we spent a lot of time sweating through our clothes in the tropical heat, we had such a great time getting to know both Yemaya and Little Corn Island. Scotland is one of my favorite places in the entire world, but there are still plenty of parts of it that I haven't yet explored. So when I found myself back in Scotland this past autumn, I knew I wanted to visit a new part of the country. I signed up for a fun tour with Haggis Adventures and got to explore the Isle of Lewis and Harris for the first time. 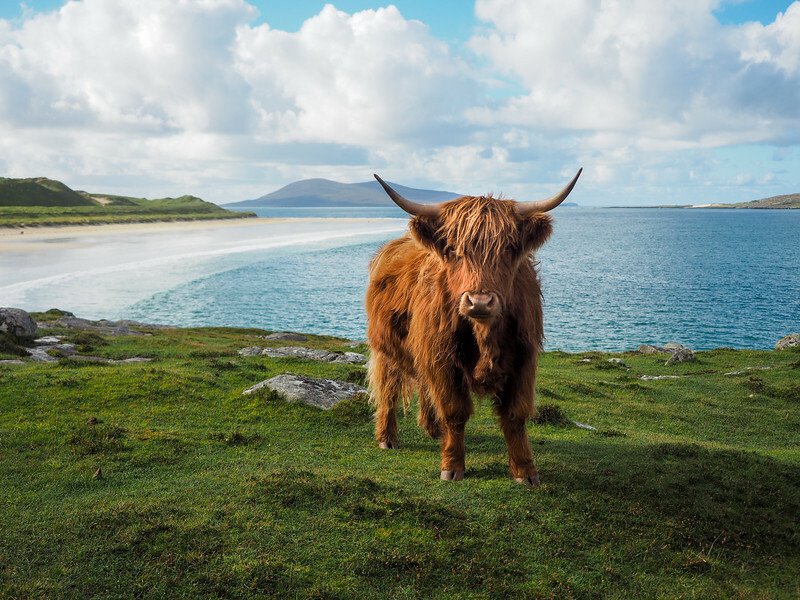 Complete with ancient stone forts, gorgeous beaches, stone circles, and the most adorable highland cows, this duo of islands is now my new favorite part of Scotland. Read more: The Isle of Lewis and Harris: Scotland's Best-Kept Secret? I usually go on one “big trip” per year, and in 2016 that trip was one to southern Africa. I spent two weeks in South Africa with my dad, and then spent three weeks traveling overland through Namibia and Botswana with Acacia Africa. 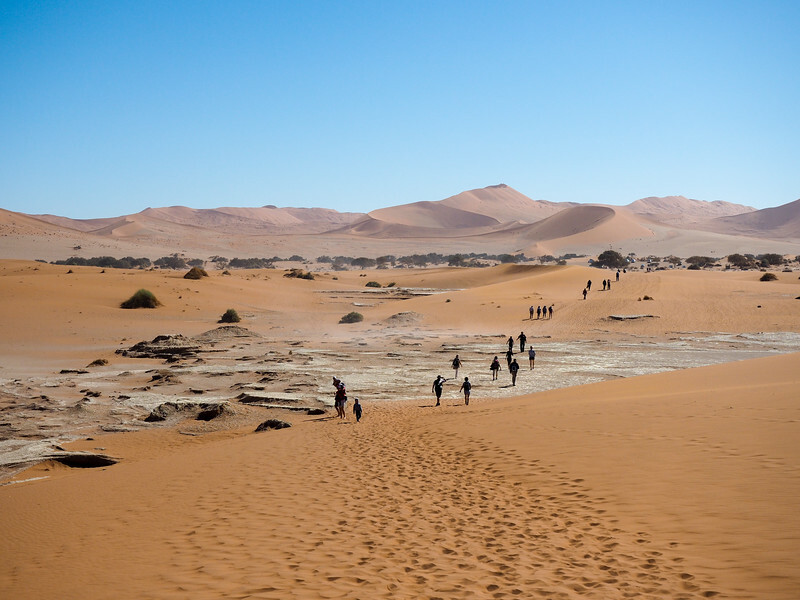 There were so many memorable moments from this trip – climbing dunes in Namibia, watching huge herds of zebra in Etosha National Park, seeing tons of elephants in Botswana – that I decided to just put the entire overlanding experience on this list. I wasn't sure how I would take to traveling in a huge truck and camping each night, but it ended up being better than I ever could have imagined. Ah, Norway. Another country that I don't think I'll ever tire of visiting. 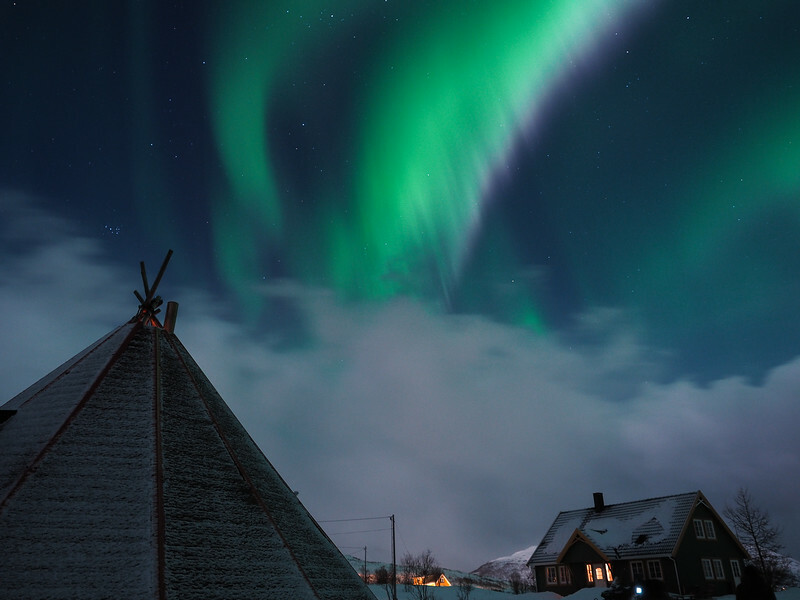 My second trip to the country took place in February, when I spent a week in Alta and Tromsø in Northern Norway. I'm not afraid of a good winter trip, and this was one of the best. The main highlight, though, was seeing an incredible Northern Lights show in Tromsø. I don't think I could ever tire of seeing the aurora, no matter how many layers I have to wear to do it. Anyone who knows me will know that I'm not really a “museum person” – and especially so when it comes to art museums. 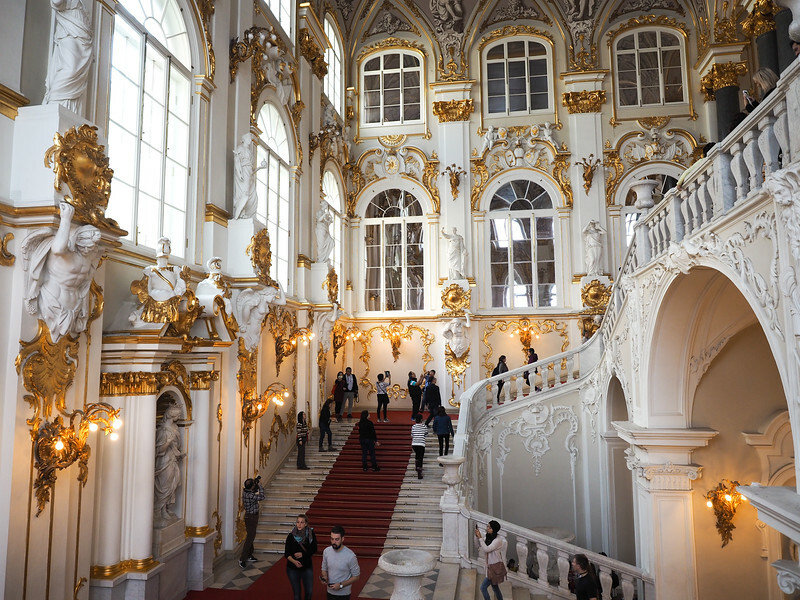 I really wasn't sure, then, how much I would enjoy a 4-hour tour of the Hermitage Museum in St. Petersburg, Russia. But damn. Those four hours were one of the highlights of my entire year! The Hermitage (partially housed in the former Winter Palace of the Russian Tzars) is so much more than just an art museum, and the opulent former palace rooms absolutely blew me away. Another place I visited for the first time in 2016 was New Orleans. And, even though I'm usually much more interested in things like history and architecture (of which there's more than enough in NOLA), it was the FOOD that wowed me in New Orleans. I'm not a foodie at all, but every meal I had in the city was just incredible and I would go back in a heartbeat just to eat more of the city's delicious food. On that same road trip where Elliot and I hiked to Delicate Arch for sunset, we also tackled another epic hike: the hike to the top of Angels Landing in Zion National Park. This hike is one of the craziest, most difficult hikes I have ever done – but it was also one of my favorites in all my years of travel. Zion is so gorgeous, and this hike gives you some of the best views of the entire park. I'm so glad we decided to go for this, and that we made it to the top together! 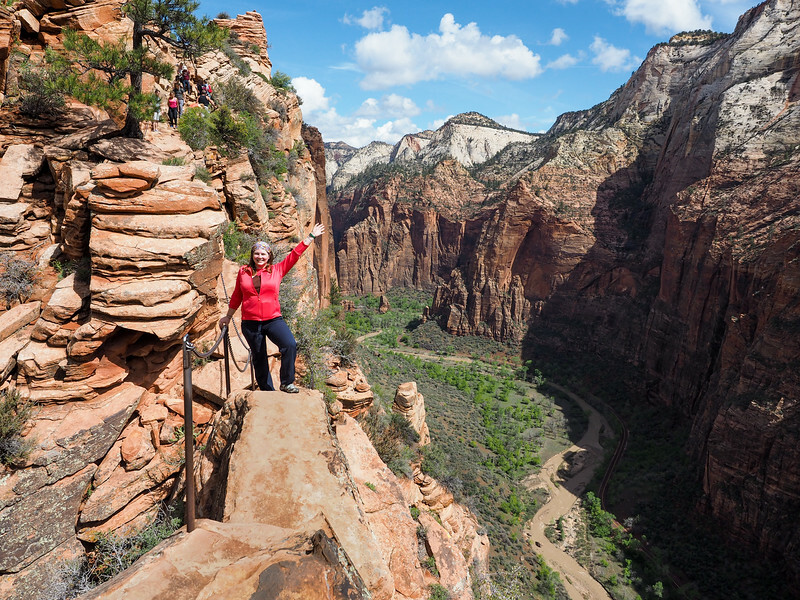 Read more: I Hiked to Angels Landing and Didn't Die! And while Angels Landing almost made the top of my 2016 travel list, there was really only one thing that could grab the #1 spot this year: going on my first safari in South Africa. The trip my dad and I did in this dream country was filled with incredible experiences, but game drives at Jock Safari Lodge in Kruger National Park were my favorite. 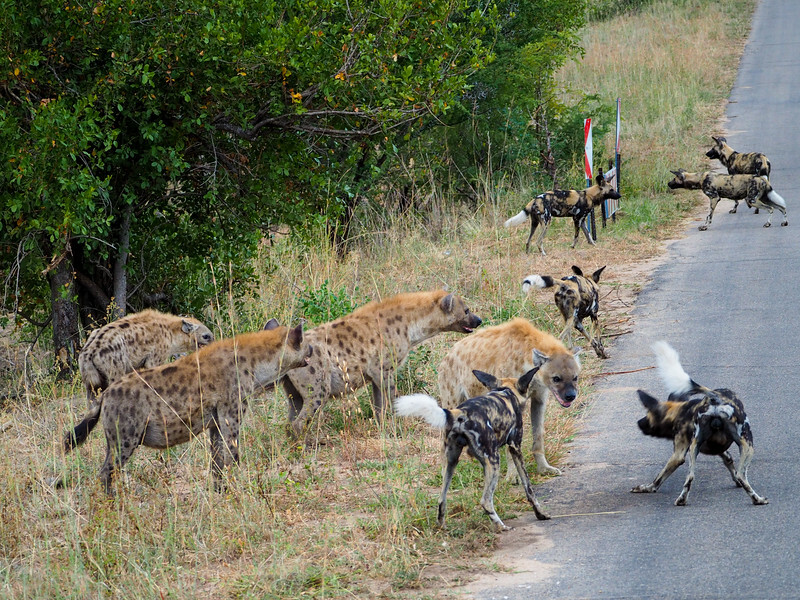 We saw mating lions, leopards, a baby rhino, and even a pack of wild dogs fighting with hyenas. If going on a safari is on your bucket list, make it happen in 2017! If you want to check out the highlights from previous years of travel, you can read my year-end round-ups from 2015, 2014, 2013, and 2012. What were YOUR top travel highlights from 2016? Looks like an amazing year! One of my highlights this year was also eating all the food in New Orleans. I’d love to go to the Hermitage in St Petersburg, and Red Square in Moscow too. And I love that Lewis and Harris made it onto your list – I’m from there, and I’m always singing their praises to anyone who’ll listen! 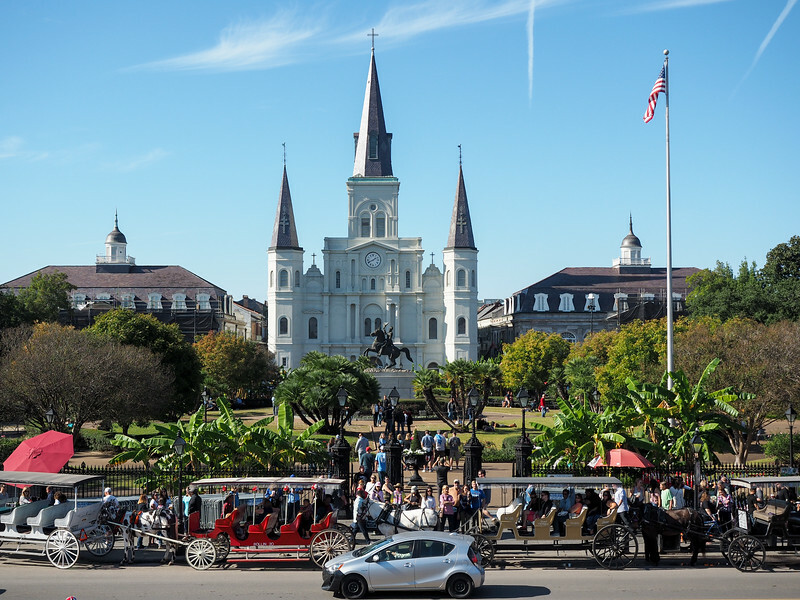 I never expected to include food on one of these lists, but it really was just that good in New Orleans! And yes, LOVED Lewis and Harris!! Your photos are so dreamy, Amanda! But that great white is gonna give me nightmares, ha. And you left off the biggest highlight of all…. Ahhh I love sharks so much! What a varied year you’ve had. Lewis and Harris are stunning aren’t they? Hopefully you’ll get to visit the rest of the Outer Hebrides at some point. And Shetland. And Orkney … actually, just cancel your plans for 2017 and spend the year visiting Scotland’s many islands, you wouldn’t be disappointed! I’m sure I wouldn’t be! I’ve only really spent time on Skye and Lewis and Harris at this point, so I still have so many isles to visit!! Wow looks like you had amazing travels this year! An African safari is top of my list for 2017. My travel highlight of the year was discovering what a gem Asia is. It’s a destination that always sort of scared me so this year I challenged myself and traveled around the region for several months and I truly fell in love! Congrats on conquering that challenge! And I would highly recommend a safari in 2017 – it’s so incredible to see all that wildlife in its natural habitat! You experienced so many great things this year and it was an absolute pleasure to follow you along! It’s time to now look forward to a great 2017 – I wonder what’s in store for us then! I’m sure 2017 will be just as great! The good thing is that we have reflected on our past couple of years the same way: we couldn’t believe that they could be better than the previous one but they ended up to be… Or at least they were as good as the previous one just in a different way. This is so true for 2016, too. We travelled in Europe this year and we are especially happy to be able to explore so many of our neighbouring countries in Eastern Europe. Croatia and Slovenia became our favorites, we loved every single city, national park, cave (or cave castle 🙂 ) or beach there. Another highlight is the week what we spent in the Loire Valley of France, visiting the most beautiful castles we’ve ever seen! 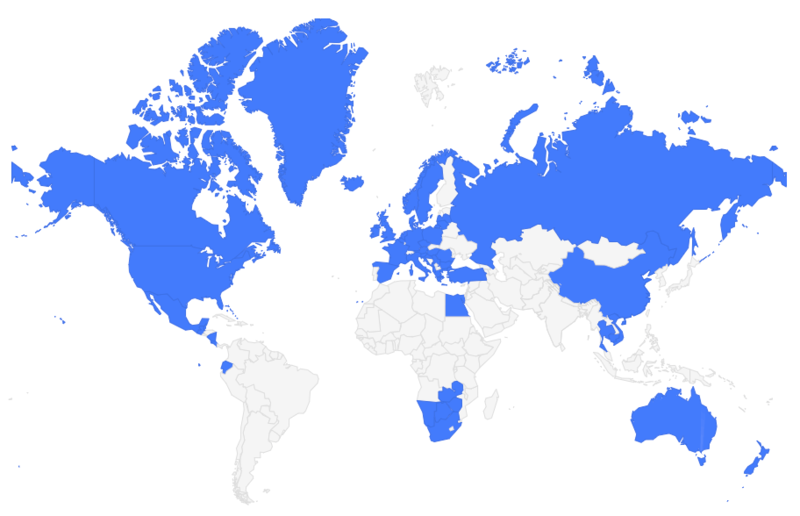 Also, we’ve travelled more than we expected. We had random unexpected trips to Switzerland and Amsterdam and we think we like this. I mean just figuring out to go somewhere and then go next week. 🙂 We should definitely do more travel of this kind. Sounds like you guys had an awesome year, too! And yes, those spontaneous trips can sometimes be really fun! What a productive year of travel … hope 2017 is just as amazing! what a great year! happy 2017! Thank you, Tanja. Same to you! Sounds like a pretty great year of travel! Definitely looking forward to following along on your adventures in 2017. Happy New Year! Thanks, Brian! I never really realize just how much travel I’ve done in a year until I put together this post – 2016 was definitely a great year! What an epic year Amanda! Clearly I NEED to get to Africa. Hopefully I will this year, it seems incredible. Plus I need to hit more national parks this year as well. Looking forward to your 2017 posts! What a fantastic and inspiring year! Wishing you many more adventures in 2017! What a great year you’ve had. I didn’t know that you did some horse-riding in Texas. It must have been awesome! 2016 was an interesting year for me, and even though in some parts it went terribly bad with politics and terrorism, in other ways it was great! My brother wrote a book which was taken up by a publisher in London, and I completed my MA (Education Management), which had me flying in and out of the UK every 6 weeks! Sounds like you had a pretty great 2016 too! Congrats on finishing your MA and the new job!! Amanda – Simply Wow… I envy you for being able to travel the globe like that. I’ve been to a few places myself but somehow I don’t get much more done than one or two trips a year. From all the ones you listed, I’d pick the cage diving with the Great White’s. Combining diving and seeing amazing creatures is just a win-win! We were in South Africa for 3 months and it was also the highlight of our year (no safari though, we were in the Cape region). We want to go back and I’ll have to read your post on overlanding through Namibia and Botswana. Love the Zion and Banos photos! Southern Africa was pretty incredible (even better than I thought it would be), so it’s definitely worth a trip back! What a wonderful year! You certainly packed a good amount in. Nice work!